You might hear people talk about an “Abundance mindset”, maybe as opposed to a “scarcity mindset”. What exactly are these things? And why do they matter? 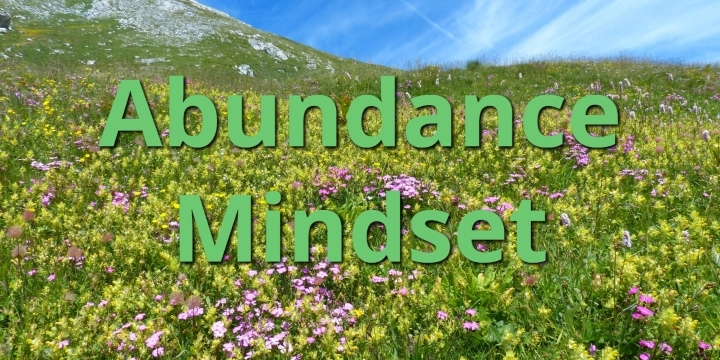 This article will explain what the Abundance mindset is, and why it is so important. Not just in internet marketing, but in all walks of life. The ideas may be very old, but the phrase “abundance mindset” comes from Stephen Covey’s famous and influential bestseller, “The Seven Habits of Highly Effective People” (which is the #1 book I would recommend everyone read). In it he says the abundance mindset as “a concept in which a person believes there are enough resources and successes to share with others”. This is opposed to a “scarcity” mindset, where someone believes that life is a zero-sum game and that resources cannot be shared. I try and live with an abundance mindset, and I recommend you do too. I’ll explain what the characteristics of it are, and why they are so powerful and important. The abundance mindset is obviously based on abundance: the idea that there is plenty to share around. Plenty of ideas, people, products, time, money, everything. People with an abundance mindset are focused on possibilities and opportunities, not problems and limitations. People with an abundance mindset are always happy to offer any help and share because they are not worried about giving things away. They know that there are always going to be opportunities to create more value. An abundance mindset encourages people to give away lots of information for free, knowing that there are always going to be higher level products or services that you can charge for later. An abundance mindset is positive and forward-looking and focused on learning and growth. It is always open to new ideas instead of fighting or fleeing them. A scarcity mindset is closed, defensive and doesn’t believe in further growth. It is instead focused on protecting whatever it currently has. A person living in an abundance mindset isn’t continually comparing themselves to others. Instead, they are happy with whatever they can achieve and are happy with what others can achieve too. They know that there are plenty of chances for everyone to succeed. There are countless advantages to an abundance mindset. Firstly, it will allow you to be a better, happier and more relaxed person. If you are positive and not worried about fighting people for scarce resources, you’re going to have a lot less stress and anxiety in your life. An abundance mindset will also build powerful relationships with others. If you go around helping and sharing with people, they cannot help but to like and respect you. You will gradually build up trust and authority with others. And through the power of leveraging the Internet and social media, you can build these powerful relationships not just with your immediate connections, but with thousands of people all over the world. An abundance mindset will also help you to see and find opportunities. If you have a positive and optimistic viewpoint and are open to new ideas, you will discover things that a person with a scarcity mindset will never look at. People with an abundance mindset are also much more resilient to failure. Since they believe there are so many resources to go around, they do not worry much if they try something and it fails. They see failure as an opportunity for learning and development. Moving from a scarcity mindset to an abundance mindset might be hard for some people. It really is just a matter of changing your perspective. Try relaxing and thinking positive thoughts about your life and experiences. Imagine there is a big sea of positive energy around you. Imagine an abundance of positive experiences, knowledge and ideas surrounding you. Try having a curious, joyful and playful perspective, instead of a cynical and suspicious perspective. Think of the perspective of a non-judgemental beginner or a happy and curious child. Try giving more people the benefit of the doubt. Try giving people second or third chances. And make sure to remember that every event in life, even difficult or troubled ones, is an opportunity for learning and growth. People with an abundance mindset are more proactive rather than reactive (a scarcity mindset way of living). They are explorers and adventure seekers and risk takers. They know that if something fails, there will always be plenty of other opportunities later. And above all, just remember to help people! There will always be time to market things later. If you keep helping people, you will build trust, relationships and authority. You will create positive connections and experiences with people. And you will be practising the all-important abundance mindset. 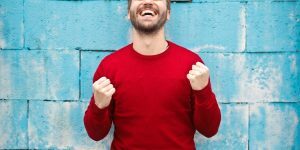 I hope this article has helped you and I hope you are on your journey to having an abundance mindset – or maybe you are there already!